Can we remove the basis availabilities through the calendar? 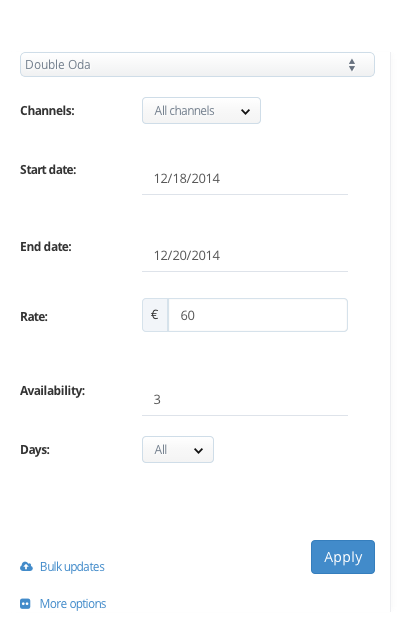 If you do not have any contracted room, you can determine the basis availabilities through the Calendar. Please click the Calendar section from the upper menu of HotelRunner panel. After selecting the Room Type, Channel and Date range you want to update the availability of, please enter the number you want to update in the Availability field and then click Apply. Please check and Confirm the updating operation from the pop-up window.